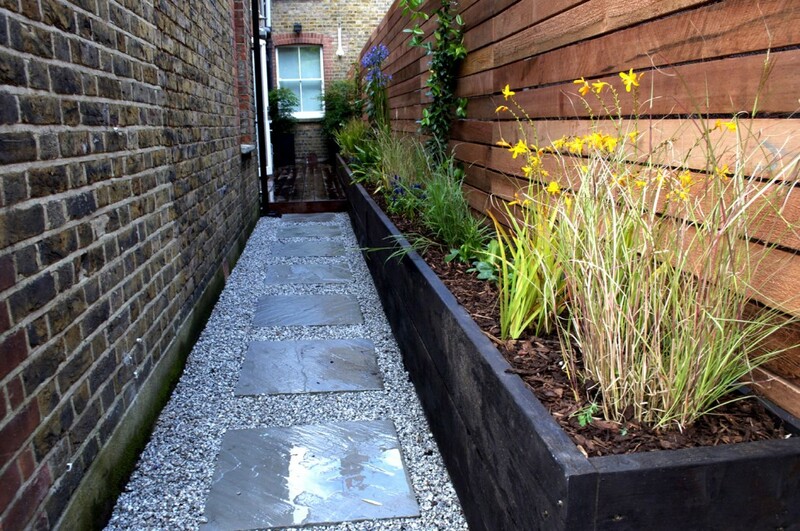 Landscaping design: a small urban garden in Clapham, London SW4. 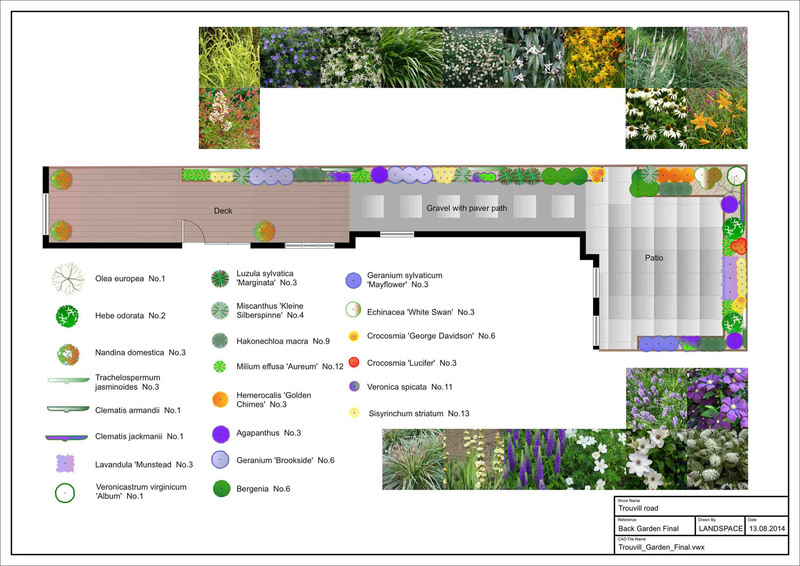 Materials: Kebony decking, Cedar 100mm unfinished trellising / bespoke fence panels, grey sandstone, silver grey granite gravel, stained softwood raised beds, polystone planters, Hunza spotlights + dimmer, Claber micro drip irrigation. 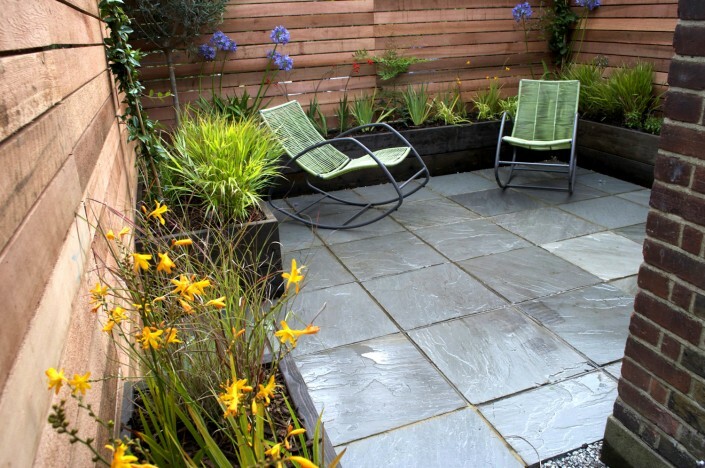 Brief: This client didn’t feel inspired to use their outdoor space. The garden had been neglected and the layout was very awkward. 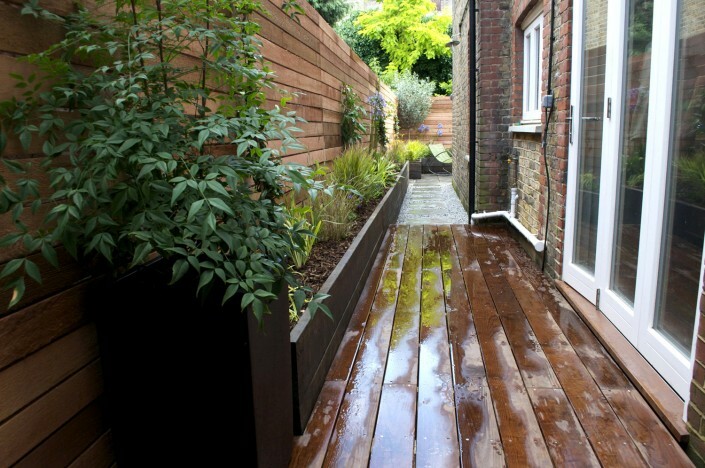 Its long side return and disproportionate small, rear courtyard area made it feel very enclosed. There was a very unsightly boundary block work wall that was desperate to be transformed in some way. 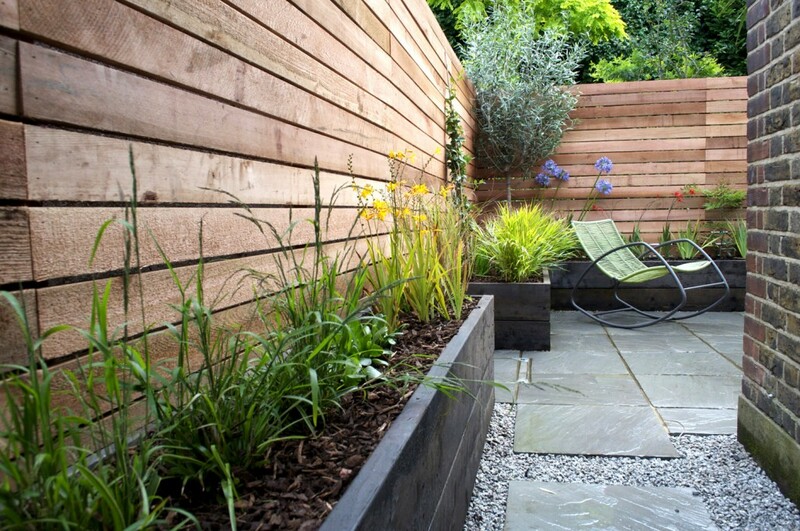 The client’s interior space was minimalist and we decided to continue this Japanese influence into the garden. 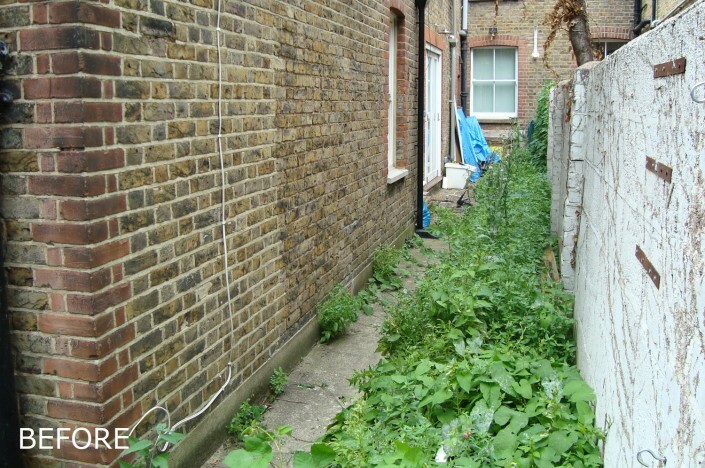 The initial site assessment revealed a few issues with level changes. 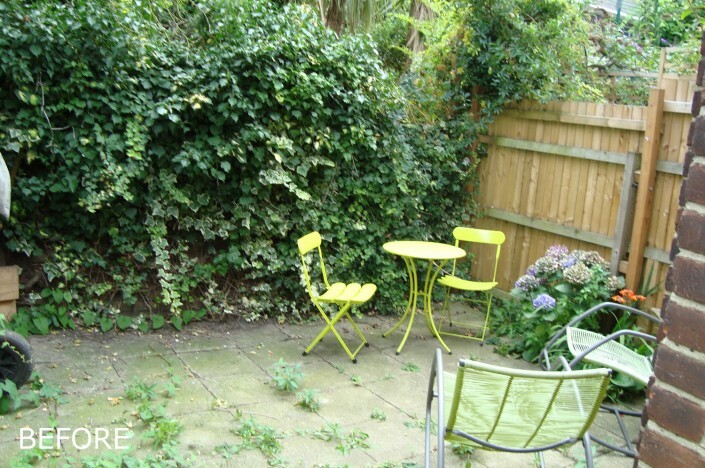 To create a functioning space, we divided the garden into three main areas. We used decking to compensate for the high interior floor level and created a stepping stone path on gravel to link it to a beautiful patio area at the rear. Raised beds were built to increase the planting potential of the garden. The planters were given a dark stained finish and were set against bespoke, wide slatted Cedar fencing. Over time the Cedar will transform into a silvery grey, making the area feel more spacious and creating a wonderful backdrop for the vibrant planting.